and the Mere Presence of My "Bright" Person." form of the ego's game appears every single day." All of all there is." Information on courses that are offered by the Laughing Man Institute can be found on their respective pages. Each course, when being offered, has sessions corresponding to specific dates and times. Every Adidam Academy Course is offered in a number of different classes. Each class has its own, unique starting date and/or class meeting time. Select a class in your course that has a starting date and meeting time that suits your particular needs. Once you have found the class you would like to enroll for, add it to your cart. Note on Class Study books: Some Academy classes have a specific study book as required reading. If you do not own a copy of the class study book for your course, please add the book, to your cart, as well. Once your enrollment fee payment is confirmed we will send you your COURSE ENROLLMENT KEY and instructions, by email, on how you can enter the online classroom for the course you have chosen using your course enrollment key. Your online classroom is where your class will 'meet' online each week for the duration of your course. In your classroom you will find the study materials, reading and written assignments and discussion forums for your class. Click on Schedule of Classes to see Courses to Enroll in. 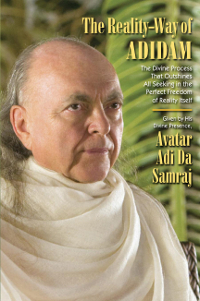 Visit the Adi Da Videos YouTube Channel for more videos.